Only one show into the new year, and we’ve already got a keeper. Was anybody surprised? 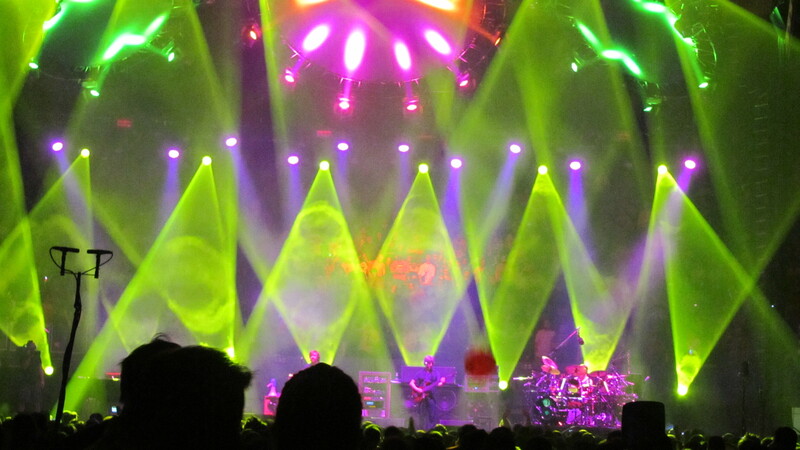 On New Year’s Day, Phish dropped a top-to-bottom smoker with one of the outstanding second sets of this era in which the improv never stopped. Crafting a slick setlist to cap the run, Phish tore MSG apart in their first hurrah of 2011, not to mention the first set, whose final four-song sequence also caught fire. 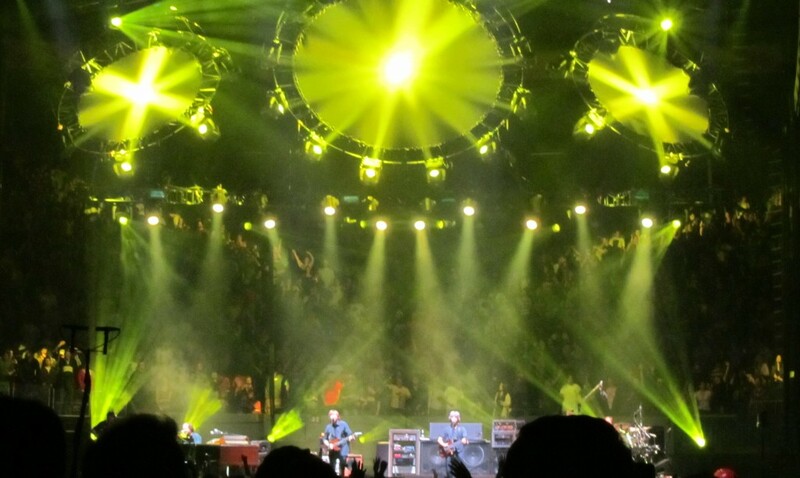 In a not-so-bizarre case of prognostication, everyone in the building knew from long ago that this night would hold something special, and when Phish delivered so flagrantly, it made me think. Advertised separately on their website as “1.1.11,” the band began hyping this show before the holidays even began. And with that in mind, of course they came out and played a ripping show. This brings me to the question of Phish’s current intent when they step on stage, something that I’ve been pondering since the end of this show. In my opinion, the band has now reached a level of proficiency where they can play a two sets at that level at almost any time (once they’ve got a few shows under their belt). But what determines when they decide to go big? Sure, they band was “on” on January 1st, but they have been “on” for quite some time now with very few inconsistencies. And while Phish killed the entire set with tight jams galore, but for one piece of transcendent music in “Simple,” its not like they were throwing down mind-numbing magic; they were giving each jam the creative attention it deserved without concern for what was coming next—something that hasn’t always happened. They were playing with the carefree energy and focus that characterized several nights this fall, and they were doing with the support of a well-crafted, non-stop setlist. Hence we all freaked, and rightfully so, Phish played a stellar show by anyone’s standards. But in terms of start-to-finish shows, why only on the first (and for one full set on New Year’s Eve)? Many say that Phish alters their type of show to access different sectors of their fan base. But to that I ask, “Was anyone you encountered after 1.1.11 disappointed that the band jammed too much in the second set?” Doubtful. 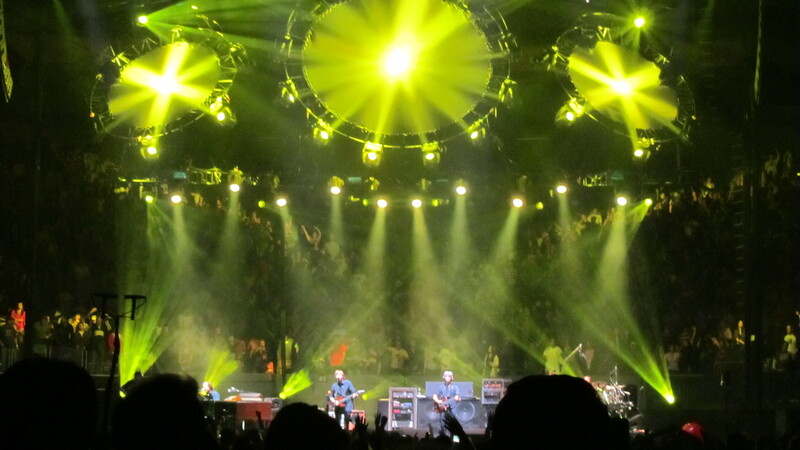 Everyone left Madison Square Garden exactly how Phish wanted them to—jacked to the sky over the best show of the five-night run. Perhaps this possible “premeditation” took place because of a pre-planned New Year’s Run that Phish wanted to end with a bang. But why don’t they come out and play all killer, no filler second sets more often, when that’s—empiracally—what everybody wants to hear? 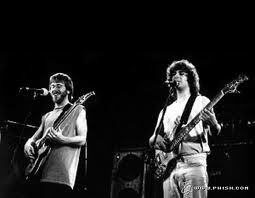 Others may say that the band can’t just turn IT on and play like they did on the 1st whenever they want. 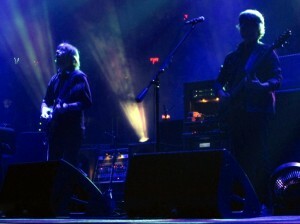 But what about the previous four shows when every time the band took an improvisational risk—approximately once a night—they found, arguably, the best jams of 2010 in Worcester’s “Harry Hood,” and “Seven Below,” and Madison Square Garden’s “Ghost.” Additionally, the band also took “Tweezer” on its most exploratory jaunt of the year. My point is, Phish did seemingly, turn it on at a moments notice over the New Year’s Run, and they did so with ease and overwhelming success. Surrounding these musical treasures with various song sequences, each stood alone as the shining star of their particular show. But on New Year’s Day, Phish decided to improvise passionately all night long instead of in fifteen minute bursts— something not so outlandish, but had profound effect. On January 1st, Phish didn’t play the best show of their life, but they certainly played one of the most impressive shows of the this era. The band chose a great setlist, but we all know that setlists, alone, don’t make a show. With cohesive jamming throughout, Phish underlined the night with a smooth second half in which each song got full and proper treatment. But was there ever any doubt? Was it was any “harder” for Phish to play a show like January 1st than it was to play any other on the run? I’m not sure. I do believe they intended to make 1.1 the best show of the run—and that they did. I believe that Phish can pretty much do what they intend to do onstage these days; it’s not like the turning of the calendar gave them magical jamming powers. So why wouldn’t they play shows like that throughout the holiday run? I’m not trying to downplay 1.1.11 at all; I absolutely loved the show. But let’s hope that when we are making best of 2011 lists, we’ll remember January 1st as a show that raised the bar for the year, and not one of its greatest moments. 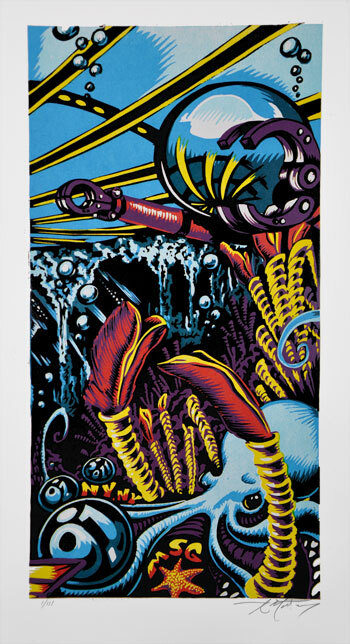 Another peak at the now-available remasters courtesy of Phish Inc.
One of my favorite Spring ’92 shows, this SBD was highly circulated back in the analog era. With two sets of early-school fire, and a top-shelf. early-90’s “Antelope,” I highly suggest pulling this show if its not already in your stash. This entry was posted	on Thursday, January 20th, 2011 at 1:25 am	and is filed under Uncategorized. You can follow any responses to this entry through the RSS 2.0 feed. Both comments and pings are currently closed. My vote for top 5 songs of 2010 and the best Gordon gonzo of 2010. Cheers from PDX, please come our way in 2011. So I’ve decided I’m going to try to stay up until Sunday night. Why not is the real question. I only got about 2 hours of sleep last night, but sleep is silly. If this works as I plan, hopefully i will have created something out of total physical and mental exhaustion. Let’s see how this pans out. Yes. My (and yours) hands and feet are mangos. Mango song 10-26. another must. I’m late but 10-26 is sick. Nice ranking Miner. I need a Show of Life at the Gorge in 2011! @ KP: If you’re still awake, another to add to your Victory Jams list would be Twist, 6/20/04. Just unreal energy. Mango 10/26 has a pretty bad botch in the first return to the chorus, sadly. And as much as I love love LOVE the idea and the initiation of the segue from Ghost, Trey started to rush it and they lost sync. Gorge 8/8 still the only clean 3.0 Mango IMO. None of which affects my high HIGH (high) opinion of 10/26. But the Mango…so close to ill. As is, merely nauseous. @BK, you doing this on your own or with some kind of stimulant? If you’re just busting through with willpower and nothing stronger than caffeine, you can expect linear thought, language, and hand eye coordination will start to be impaired at around the 30-35 hour mark. After 48 hours or so the waking hallucinations might kick in, peculiar visual and auditory impairment, etc. NOTE: It will take you between 10-15 days of regular 8 hour sleep to reset your system after staying up for 4-5 days. I’d be particularly careful behind the wheel until at least a week of regular sleep is behind you. Are you doing this for the “four days and three nights” merit badge? careful bk. your body needs rest whether you sleep or not. and plenty of coconut water. That Punch You in The Eye thing is F’n awesome. First they found The McLovins, now this. Apparently there is some good stuff happening at Jilted PT..
And thanks to Kenny Powers for those OXYyears compilations. Those first 6 are incredible. I was at half of those jams, and its part of the reason i always wondered why people hated 2.0 so much. When Trey had access to his suppliers, he was bringing the heat. He was terrible out west i guess. I hate to think the craziness of those jams is only possible with drugs, but the history of rock and roll seems to lean toward just that. Not to say i don’t love where the band is at right now, but i have to admit,there are few jams that blow my mind Since the spac shows of 04(i.e. 2 tracks of that compilation). Definetely better overall shows, better setlists, and they seem to be really enjoying themselves. But where is the madness?? Listening to that compilation really got my head spinning. Prob cause i was shoveling snow..
That PYITE is badass. I remember finding out about some cool Nintendo Megadeth ones but PYITE = way better. Did anyone even know what that old one was? It was really hard to tell unless you’d seen it before. Did not look as good as I’d hoped. Looked pretty bad actually. Couldn’t read anything. oh well. Great album as well as album cover. Well, Miner, I guess your hope from the last line of this review came true, didn’t it?